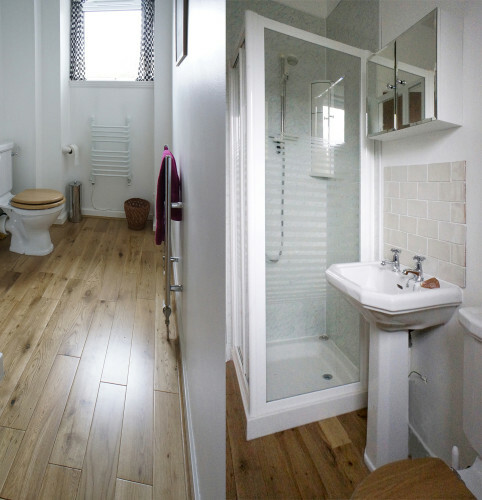 We have renovated part of the old Domini’s house to provide quiet, self-contained accommodation for our visitors. 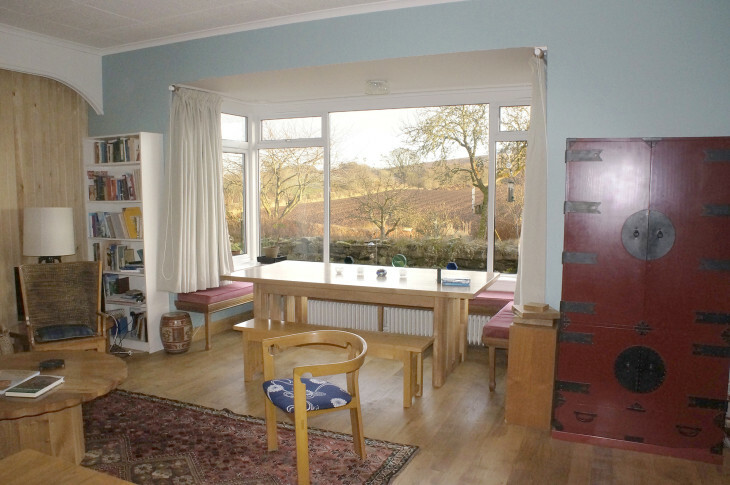 We offer accommodation on a self-catering or B&B basis (if your stay is no longer than 2 days). Private Entrance with patio seating and table onto the gardens and beautiful landscape beyond. 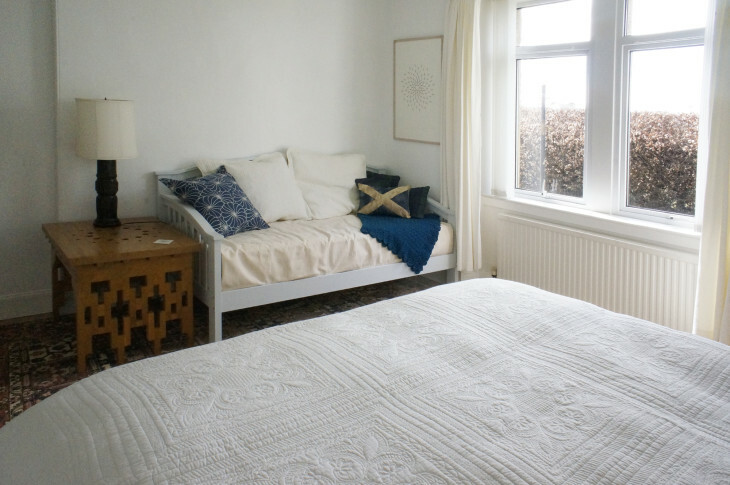 Large Bed/Sitting Room with a Super King-sized or Twin beds. 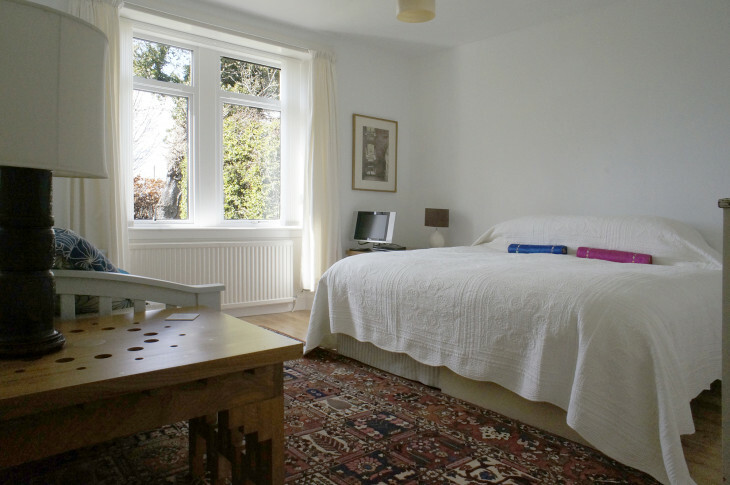 The room has a daybed sofa (standard single) so the room can accommodate three people and there is a baby cot if required. A welcome basket with teas, coffee and biscuits. 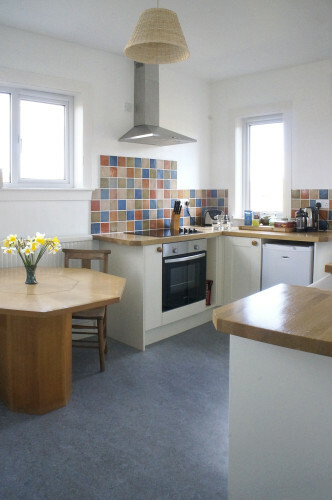 Fully equipped Dining Kitchen with Washing Machine, Iron, Ironing Board and Hair Dryer. We will accept a dog if you can assure us it’s well behaved (doesn’t get up on or damage furniture, etc.) and you pick up after it in the garden. However, please discuss this with us first. We have our own very friendly, if excitable, rescue dog who is very good with people and other dogs though it is possible to keep you and your dog separate from her. If you’re staying for 1 or two nights, we will provide breakfast for you. 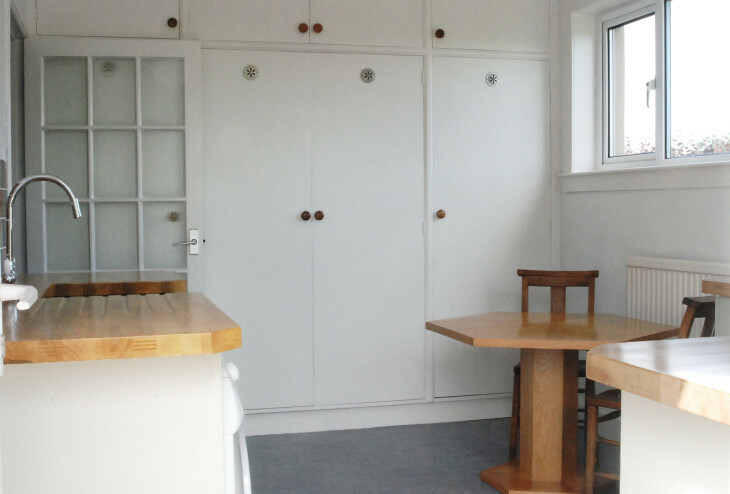 Longer than two days, however, the accommodation is on a self-catering basis only. 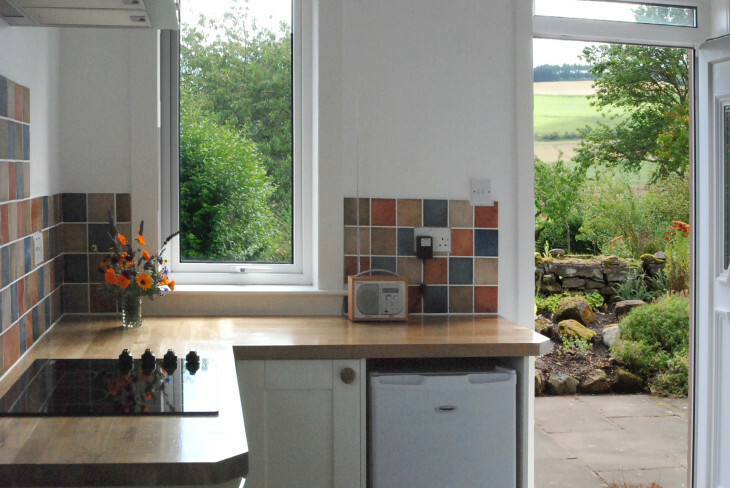 We can leave breakfast in your well-equipped kitchen/diner for you to suit yourselves or make it ourselves and serve you in the old School Room which has a stunning view through a large bay window onto the gardens and landscape beyond. If you’d like us to make it, breakfast is served from 7.30am until 9.00am. 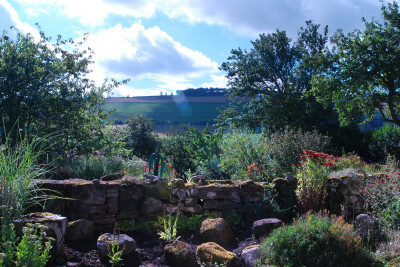 We endeavour to use fresh, local ingredients including produce from our own garden whenever possible. Orders for breakfast are taken as early as possible the day before to ensure all ingredients are as fresh as possible. Below is a sample of dishes and ingredients we can provide. Items may change depending on what’s available at the time of your stay.